The nostalgia-fest that is The House of the Dead: Overkill - Extended Cut for PS3 continues with Sega's announcement that the game will support not only Sterescopic 3D on your fancy new display, but also the anaglyphic 3D of which we all have such fond memories. Indeed, those were the days: Braving headaches and nausea for the thrill of the third-dimension. Was it worth it? In retrospect, no. The House of the Dead is hoping to recapture the magic of that experience and, really, it's just fitting. 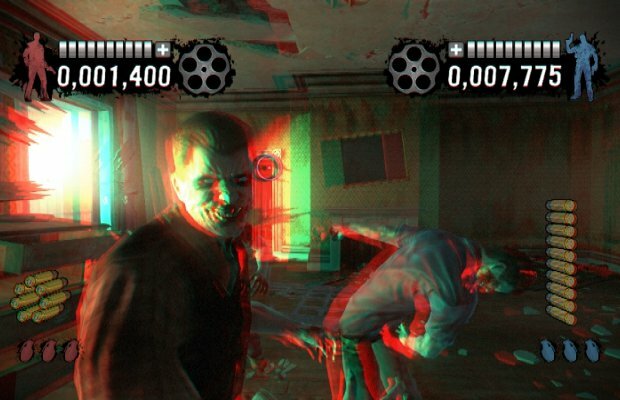 If any game should have anaglyphic 3D supported, it's The House of the Dead. That's it though, no more.